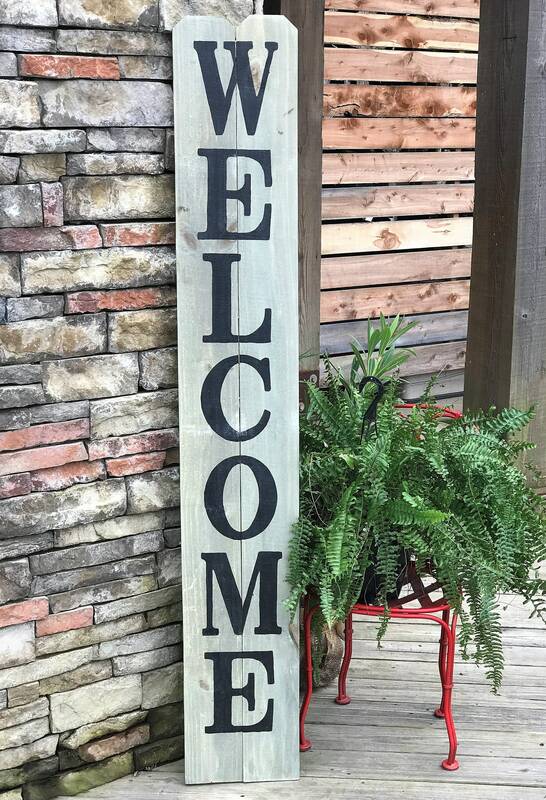 - This particular sign is a gray "wash" as the base that allows the natural pigments and grain of the wood to show through while adding a touch of color. The lettering is painted black. My signs are always 100% hand painted and vinyl is never used. Not the colors you were wanting? Just contact me and let me know what you need! I really like the sign .... good quality and price was not out landish. My order came in on time with no problems . It looks great on my poach! Exactly as pictured and shipped faster than expected!